‘In the midst of ever-changing digital advances ‘marketing’ of product or services has become more complicated and throws up new opportunities and challenges. The shift from traditional to digital marketing has witnessed more gain and insights about the customers and to understand, reach and helped them to connect with them in a more precise manner. The perfect blend of Customer Relationship Management (CRM) and Digital Marketing can help in managing contacts, leads, opportunities and campaigns’ thus opined B.C. 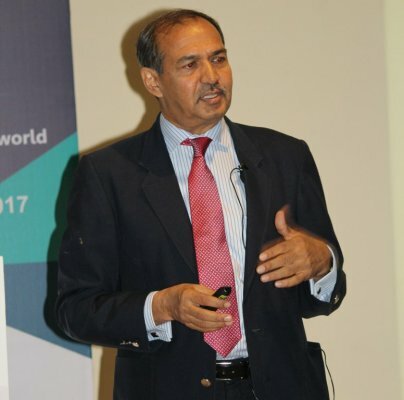 Rao, Managing Director, Kennametal India Ltd, Bangalore, during the keynote delivered at the 2-Day International Marketing Conference organized by SDM Institute for Management Development (SDMIMD), on October 26-27, 2017. The two day conference provided platform for the industry experts, marketing practitioners and academia to share their knowledge and experiences of marketing in the digital milieu. Mr. Venguswamy Ramaswamy, Global Head, iON, Tata Consultancy Services and Mr. N. Ravi Shankar, CEO, Aim High Consulting; will be delivering invited talks during the conference. Research papers, concept notes and case studies will be presented by the participants from across India, during the technical sessions of the conference. Valedictory chief guest Dr. Bhimaraya Metri, Director, IIM Trichy, stressed on how technology is changing and its impact on businesses. Dr. Metri also provided insights about global restructuring, how nations are reshaping itself due to the changing socio and economic conditions. Dr. N.R. Parasuraman, Director of the institute; Dr. H. Gayathri, Deputy Director; and Prof. Jayakrishnan, Conference Chair; Dr. R. Sugant, Professor – Marketing and Chairman; and faculty members graced the occasion. 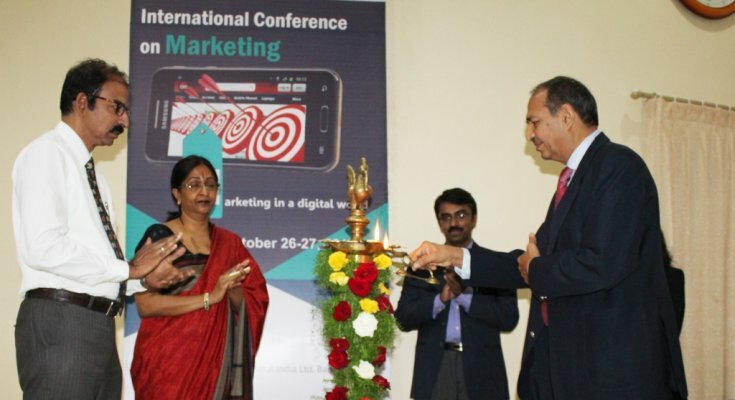 The 2 day international Conference on Marketing held on 26th and 27th of October with a theme, which focused on the contemporary and emerging trends of marketing in Digital World started off with a key note address by Mr BC Rao, MD of Kennametal India Ltd. Mr BC Rao, in his key note address highlighted about the digital initiatives that his organization has taken and how positive its impact has been. Mr Rao also shared his personal experiences during the course of his lecture. He gave tips to students to survive and succeed in the corporate set up.